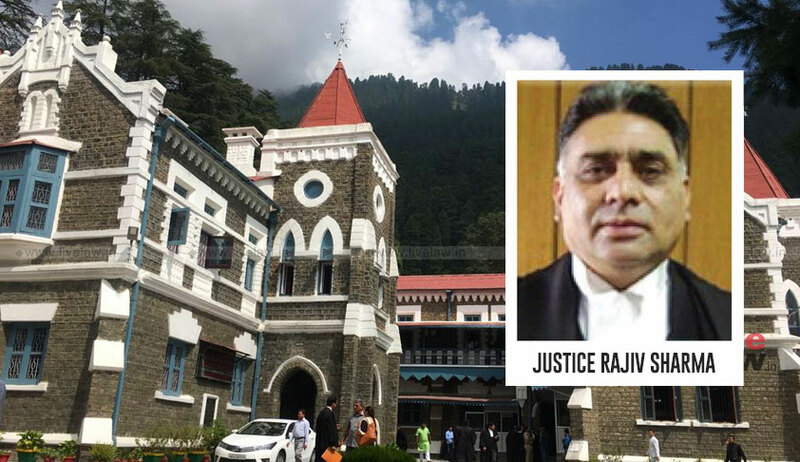 The Uttarakhand High Court on Friday issued a slew of directions for enhancing road safety. During the hearing of a petition filed by one Mr. Arun Kumar, the Court discussed with Mr. D. Senthil Pandiyan, Secretary (Transport) to the State of Uttarakhand measures that can be taken to minimise motor vehicle accidents in the state. The Secretary, Transport is directed to undertake ‘road-safety audit’ of the entire State within a period of one month and to take remedial measures thereafter. The Secretary, Transport, as undertaken by him, is directed to establish 73 enforcement teams for each Tehsil over and above the existing Teams to undertake the enforcement and implementation of Motor Vehicles Act, 1988 and the rules framed thereunder. It shall be open to the State to recruit the persons to enforce agency by resorting to deputation, deployment and secondment teams. The Committee shall also induct one Advocate in order to enforce the provisions of law effectively. The Secretary, Transport has undertaken to install the speed governors in every transport vehicle within a period of three months from today on ‘route specific’ basis. This will cover old as well as new buses. In order to check the drunken driving, the State Government is directed to provide the transport department at least 100 breathe analysers within one week. All the drivers and conductors throughout the State of Uttarakhand should be in prescribed uniform. The Secretary, Transport is directed to issue instructions that all the drivers and conductors behave with commuters in a dignified manner, more particularly with women, children and elderly people. The State Government is directed to construct parapets, crash barriers and erect sign boards on all the 1000 vulnerable points within three months from today. The Uttarakhand State Transport Department is directed to invoke the provisions of Sections 185, 192-A and 194 of the Motor Vehicles Act, 1988 against the defaulters and violators. The Uttarakhand State Transport Department shall also register the FIRs’ under the relevant provisions of the Indian Penal Code as well as under the Motor Vehicles Act, 1988 against the violators of law involved in over speeding, over loading, use of mobile phones while driving/ jumping of the red-light. The Transport Department is authorised to seize the mobile phones temporarily for a period of 24 hours after issuing a valid receipt. The Transport Department is directed to ensure that sufficient buses ply in all inaccessible areas in the State even during Char Dham Yatra for the convenience of local commuters. No private vehicles shall be permitted to fix the crash guards and bull bars/flashlights. All the crash guards, bull bars and flashlights are ordered to be removed within one week by the Transport Department. No motor vehicle shall be permitted to ply beyond the prescribed size. The use of hooters/sirens in private vehicles is banned. Hooters/sirens can be used only by Ambulances, fire tenders and any vehicle going on salvage operation. The display of designation/description of office and unauthorised emblems on government/private vehicles is banned. Writing of words like High Court, Army, Police, Journalists on private vehicles is also prohibited forthwith. This direction be implemented within 72 hours. This direction shall also cover the Executive Officers including Judicial Officers. The ITDR shall issue the commercial license only after the completion of mandatory training of one month. The fitness certificate to every public transport vehicle shall be issued only by the technical staff. As undertaken by the Secretary Transport, G.P.S. be installed in every public transport bus within a period of six months from today. The State Transport Department is directed to deploy at least one Officer/Official between 7.00 a.m. to 10.00 a.m. and 3.00 p.m. to 6.00 p.m. to check overloading in school buses/vans. Every bus ferrying students must be accompanied by an attendant. It is made clear that all the school buses/vans throughout the State of Uttarakhand shall have a “Right of Way”. The notification dated 21.05.2006 is ordered to be implemented in letter and spirit by the law enforcing agencies and the pillion riders on two-wheelers shall also use helmets as per ISI specification including women and children above the age of 5 years. The Secretary, Transport is requested to hold meeting with the Managing Director of the State Transport Corporation to ensure that the buses of the Corporation must ply in the interior most areas for the convenience of local commuters. All the District Magistrates, throughout the State of Uttarakhand are directed to provide sufficient land for parking the seized vehicles by the Transport Department, as desired by Mr. D. Senthil Pandiyan within three months, to be called “Traffic Awareness Centers”, throughout the State of Uttarakhand, as suggested by Mr. M.S. Chauhan, learned Advocate within a period of three months from today. The Secretary, Transport has undertaken to issue necessary instructions to all the Public Sector Undertakings including Uttarakhand Transport Corporation, GMOU, KMOU and the private operators to wash the buses on day-to-day basis. The hygiene inside the buses shall also be maintained. No transport vehicle shall be permitted to ply beyond the permissible maximum mileage.